After graduating with a degree in Environmental Science Vicki trained as a Forest School Leader before working as a freelance outdoor educator and outreach coordinator with a client base consisting of children, young people and families, often from challenging backgrounds and circumstances. In 2007 she obtained her PGCE and developed a teaching career specialising in outdoor arts and crafts and land based education. 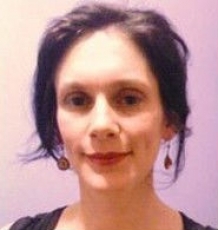 In recent years Vicki obtained her MSc in Practical Skills Therapeutic Education, gained experience in educational leadership and extended her teaching specialism to include drama teaching with particular focus on Shakespeare, staging unabridged Shakespeare productions with secondary age children. Vicki is a Trustee for the charity Ruskin Mill Trust, a forward thinking and far reaching organisation working with children, young people and adults with complex needs. Outside of her professional work she is slowly but steadily developing her craft skills as a stained glass artist and as a green woodworker. Her interests include theatre, mythology and fossil hunting by the sea. PhD Supervision: Dr Ginny Russell, Dr Darren Moore, Dr Vashti Berry.